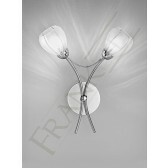 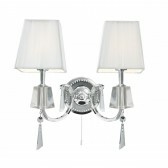 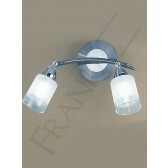 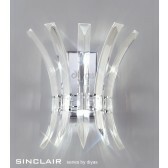 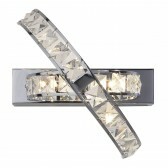 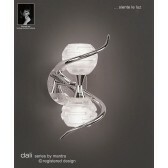 A modern polished chrome finish double wall light fitting from the Chloris range by Franklite. 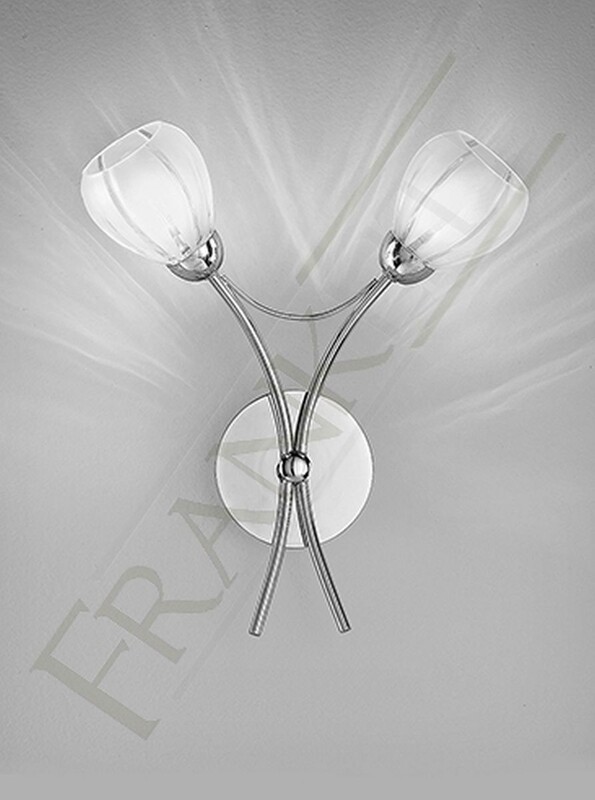 This lovely design features a circular wall mount, with 2 delicate curved arms holding small frosted glasses which have clear indented lines designed on the outside of the shades. This light is also supplied with 40W G9 halogen lamps which are suitable for dimming creating the perfect relaxed, welcoming mood in your home. 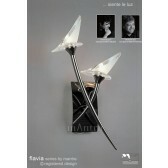 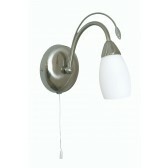 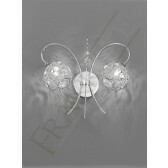 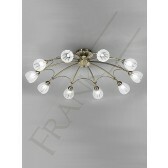 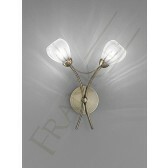 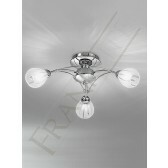 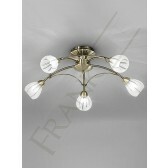 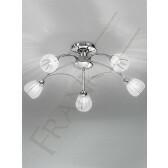 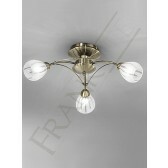 This light would look best in an entrance hallway to welcome guests or a part of your living or dining room area.